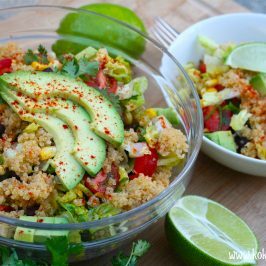 I love me a quinoa salad when I’m looking for something fresh and tasty but packed full of protein. 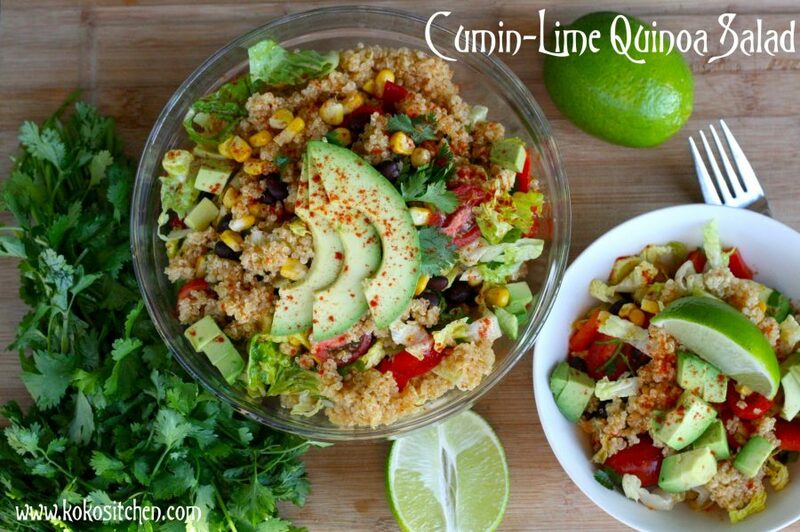 Quinoa is an awesome little grain (well, seed technically speaking) and it contains about 8 grams of protein per cup. 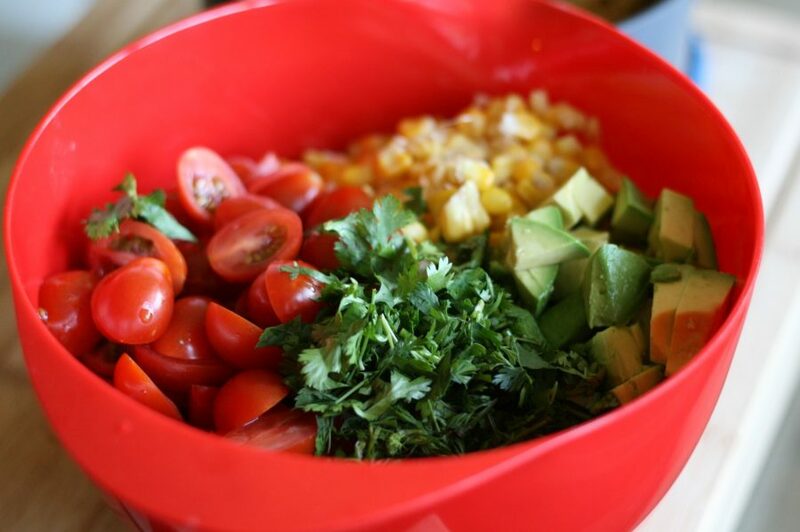 Mixing it with black beans for extra protein and lots of fresh vegetables makes it even healthier. Bring this to your next summer event like a potluck or barbecue and help everyone to nourish their guts in the yummiest way!! 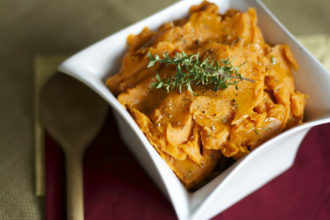 The cumin-lime vinaigrette is a nice smoky accompaniment to this dish with just a little kick to it. I got my chipotle olive oil at Coastal Olive Oils and I just love it because it isn’t too overpowering. If you can’t get your hands on some chipotle-infused olive oil, you can probably just use regular olive oil and add a pinch of chipotle powder to it. 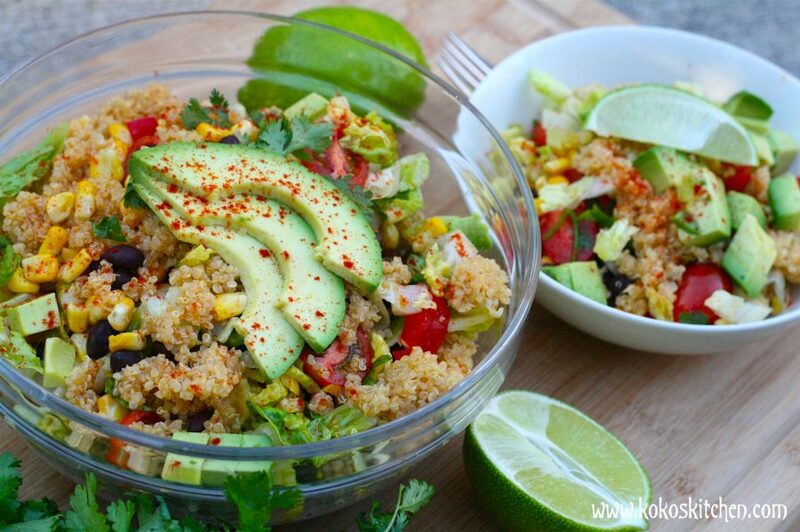 A fresh and zesty southwestern style quinoa salad. Bring quinoa, salt and water to a boil in a sauce pan. Cover and reduce heat to low. Let simmer 15 minutes. 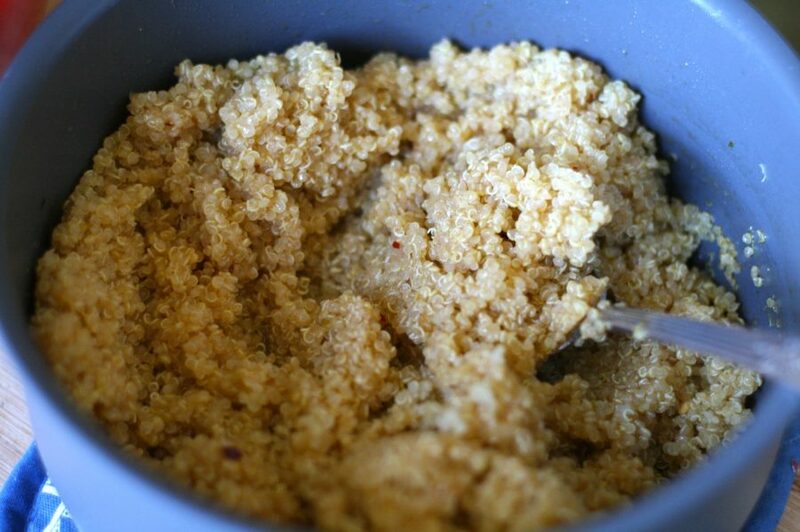 Remove lid from quinoa and fluff with a fork. Add half of the vinaigrette to the quinoa. Set aside and let cool. 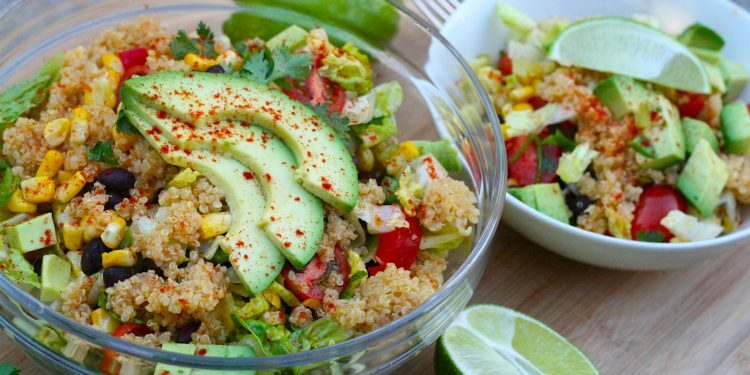 While quinoa is cooking, prepare the vinaigrette and the salad. Whisk together all ingredients. Set aside. 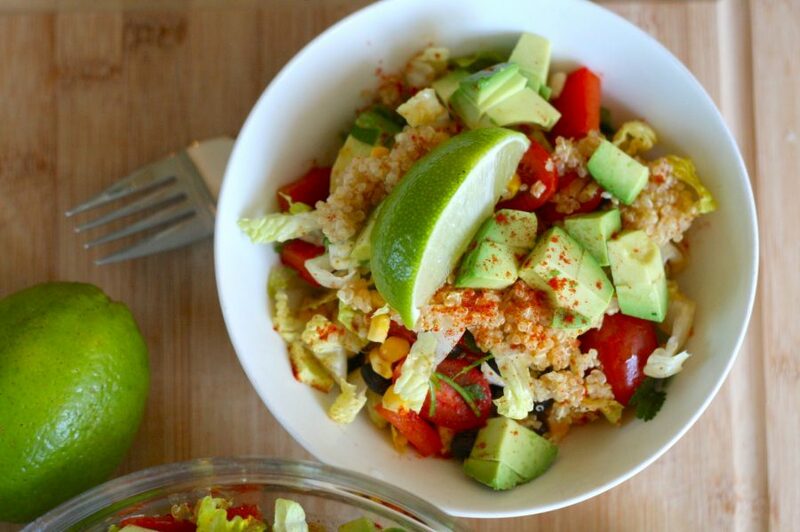 Toss all of the salad ingredients together with the cooled quinoa and the remaining vinaigrette. Enjoy!